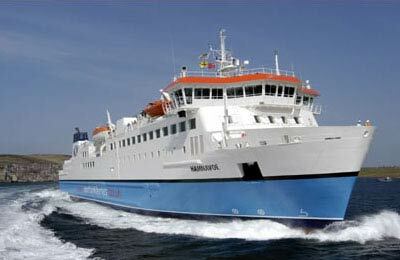 Aberdeen port offers ferry crossings to both Kirkwall (Orkney) and Lerwick (Shetland Islands). Aberdeen ferry terminal is located on the North East coast of Scotland. Situated just 125 miles from Edinburgh and 145 miles from Glasgow, Aberdeen port offers ferries to the Shetland Islands and Orkney, with Northlink Ferries. Known for hundreds of years as a major port townAberdeen is nicknamed "The Granite City", after the silvery-grey stone featured on so many of its buildings and is the third-largest city in Scotland. Rapid modern development in the 19th Century saw Aberdeen burst to life, quickly becoming one of the largest and most modern cities in the world. Today Aberdeen's prosperity owes much to the North Sea oil industry and could give any other European city a run for their money in terms of hotels, restaurants, bars and nightclubs as well as it's large student population and bustling social scene. Other cultural attractions include the Maritime Museum and Aberdeen Art Gallery. Aberdeen's long beach, with its esplanade development is on the city's eastern border, about a mile from the city centre. Port address: Jamieson's Quay, Aberdeen, AB11 5NP, Scotland. Follow the A90 to Aberdeen from either Forfar or Peterhead or from the A96 from Inverness. When you get closer, follow signs to the Ferry Port, located on the north bank of the River Dee. Aberdeen train station is less than 1 mile from the port. There are regular train services both from and to Inverness, Edinburgh and Glasgow. The 727 Jet Bus service to Aberdeen Airport leaves the NorthLink Ferry terminal after the ship arrives in the morning, returning from the airport in the afternoon. A bus stop is just outside the terminal.